After getting two signed settlement agreements from the United States on July 23, the city of Aspen now has agreements with all of the parties contesting its conditional water storage rights in the Castle Creek valley, and with all but one of the parties opposing its rights in the Maroon Creek valley. During a status conference in water court Tuesday about the two cases, the city’s water attorney, Cindy Covell of Alperstein and Covell, told the court that of the 10 opposing parties in the two cases, only one, Larsen Family LP, has yet to sign a settlement agreement with the city. The city now intends to ask the referee to move a proposed water-rights decree in the Castle Creek Reservoir case to a water court judge for review and expected approval. And the city hopes to soon send a similar decree to the water court judge in the Maroon Creek Reservoir case. Margaret Medellin, a utilities portfolio manager in Aspen’s water department, said the city is still talking about detailed language with the attorney for Larsen Family LP. “I wish we had that last signature so we can really celebrate, but it seems like we keep having to push that out,” she said. James DuBois, an attorney in the environmental and natural resources division of the U.S. Justice Dept. in Denver, said Wednesday he could “confirm that the United States has entered into stipulations in both 16CW3128 and 3129,” the Maroon Creek and Castle Creek reservoir cases. The agreements in both cases allow the city to try to transfer as much as 8,500 acre-feet of its conditional water storage rights from the Castle and Maroon creek valleys to four potential locations between Aspen and Woody Creek in the Roaring Fork River valley, and do so without opposition from the parties in the cases. 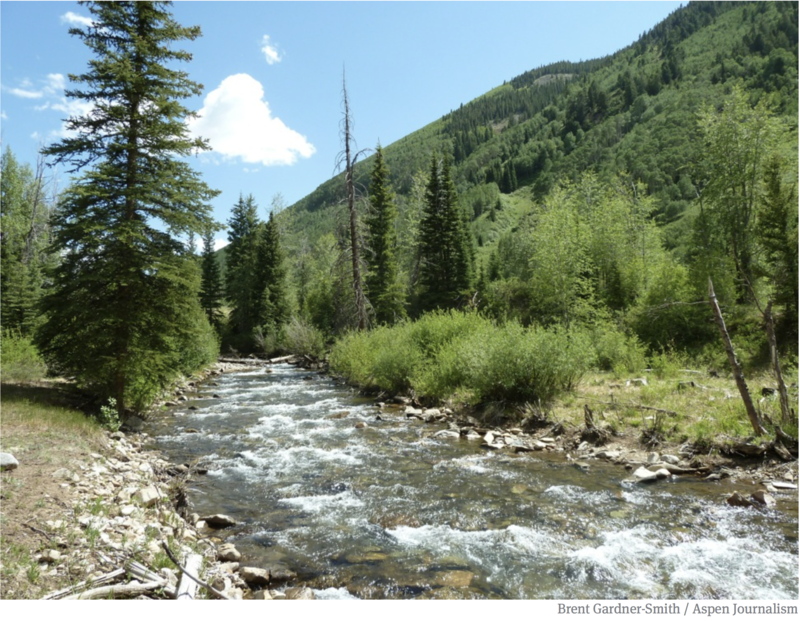 The agreements also provide that if the city fails in its attempts to move the water rights out of the Castle and Maroon creek valleys, it is barred from returning to the originally decreed locations. The city has said that all of the parties in each case need to sign agreements in order for the deals to be struck. The cases began almost two years ago when the city filed periodic “diligence applications” with the state in an effort to maintain its 1971 rights for the reservoir. The Maroon Creek Reservoir would hold 4,567 acre-feet of water behind a 155-foot-tall dam about 3 miles below Maroon Lake. The Castle Creek Reservoir would hold 9,062 acre-feet of water behind a 170-foot-tall dam about 3 miles below Ashcroft. A total of 10 parties filed statements of opposition in the two diligence cases. On Tuesday, the court set another status conference in the Maroon Creek case for Oct. 16, but did not set one in the Castle Creek case. Editor’s note: Aspen Journalism is covering rivers and water in the Roaring Fork and Colorado River basins in collaboration with The Aspen Times and other news organizations. The Times published this story on Wednesday, Aug. 22, 2018.